i looked through BHSK's website analytics and found manila fixed gear. as a filipino american, it's trippy to see fixed gear bikes reach out to the philippines- usually, i'll see indonesia and malaysia pop up. the community in manila is growing, and looks like my people share the love of intense lookin' track bikes. 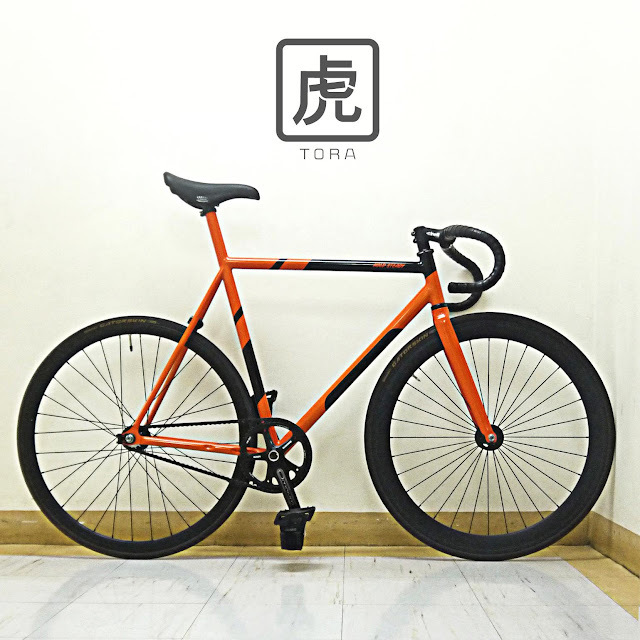 this tora, though i can't find much about this company, looks pretty radical. that seat tube is gnarly! get the bike check here. I saw this bike personally. Its a custom frame by "Ave Maldea" a well known frame builder here in manila . You can have a custom frame for around 150usd.